Belor Eurofert is a part of the Belor Group. Belor Eurofert is focused on the german market with sales also into Belgium and the Netherlands. Our costumers are retailers and cooperatives. The registered office is Bamberg. The Company was established in 2001. 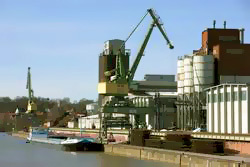 Belor Hafenlogistik is a subsidiary company of Belor Eurofert. The Company was established on 01.07.2008 with registered office in Bamberg. 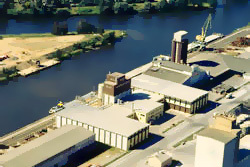 Our trans-shipment center and terminal is located in Bamberg. Our competences are the disposal, storage of fertilizers and shipping by trucks and ships.